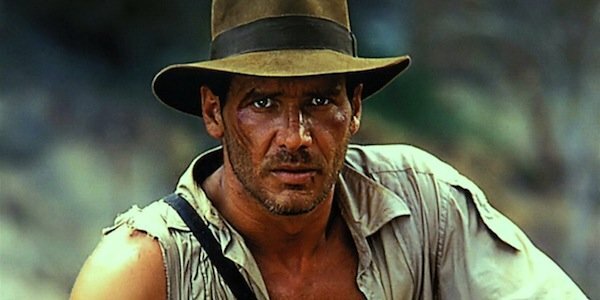 While Harrison Ford has been part of some of the greatest film franchises ever conceived, he will always be connected with the character of Indiana Jones. While the plans for a fifth installment in the franchise had been discussed ever since Disney purchased Lucasfilm, it’s only recently that we received official confirmation that the new film would be happening...in 2019. By then Harrison Ford will be 76 years old, so one could wonder why he would be so interested in reprising the role once again. It turns out it’s for one of the major reasons that anybody does anything. Because it’s fun. When it comes down to it, Harrison Ford has as much fun playing Indiana Jones as the rest of us have watching him do it. The actor made an appearance on Jimmy Kimmel Live, primarily to pitch the DVD for Star Wars: The Force Awakens, where he was asked about returning to the fedora of Dr. Indiana Jones. Ford makes it simple and clear. He just loves to be Indy. The opportunity to work with Steven [Spielberg] again, and the chance to revisit this character which has brought pleasure to so many people — not to mention me. It’s great fun to play this character, it’s great fun to work with Steven. I’m looking forward to it. It’s clear from watching Harrison Ford speak that he truly means what he says. He appreciates the way the character resonates with the fans and what Indiana Jones means to us. When the character is mentioned, the audience in attendance cheers, and you can tell Ford enjoys it. He says he’ll be ready to play the character when the time comes, and that he’s excited about it. Steven Spielberg is also a major part of the equation. You can tell that people love to work with Spielberg because they keep doing it again and again. Harrison Ford and Tom Hanks seem to be in a perpetual competition to see who can work with the director most. At this point just about the only thing we know about Indiana Jones 5 is that it’s happening. In addition to the return of Harrison Ford and Steven Spielberg, David Koepp has been brought on board to handle the script. If there are even plans for what the plot will be at this point they’re unknown. We’re feeling fairly confident. Odd numbered Indy movies are the good ones, right? Check out Ford’s comments below. If the overarching emotion that permeates Indy 5 is one of fun, we won’t complain. Indiana Jones at has best has always been exactly that. It’s one of the reasons that Harrison Ford is so good in the role. Are you looking forward to another fun adventure?